UNION CITY, N.J. (AP) - Gov. Chris Christie is taking credit for a new proposal to build a second commuter rail tunnel under the Hudson River after he killed a similar project already under way. At a town hall meeting Wednesday in Union City, Christie said his decision in October to cancel the nation's most expensive public works project spurred a far better plan. "I said: Why don't we do this? Why doesn't Amtrak build the tunnel? We were getting it stuck to us by the state of New York and the federal government. And I said, 'No, no, no. You're not going to stick it to the state of New Jersey while I'm governor - no chance.'" On Monday, Amtrak and New Jersey's two U.S. senators announced a new proposal to build a new tunnel under the Hudson River as an alternative to the Access to the Region's Core plan. In announcing the new plan, Democratic Sens. Frank Lautenberg and Robert Menendez made it clear that Christie was not involved in coming up with the new proposal and that they were the ones who approached Amtrak to accelerate the railroad's plans for a high-speed rail tunnel. Amtrak was looking into digging a new tunnel but not for decades. Christie, a Republican getting national attention for his budget-cutting ways, canceled the ARC project Oct. 27 because he said the state would be on the hook for nearly all cost-overruns, which his administration estimated at up to $5 billion on top of the $8.7 billion original price tag. The federal government and Port Authority of New York and New Jersey each contributed $3 billion to the project, while New Jersey's share was $2.7 billion. The state and Port Authority were responsible for overruns. The new project is estimated to cost $13.5 billion - or roughly $5 billion more than ARC tunnel. 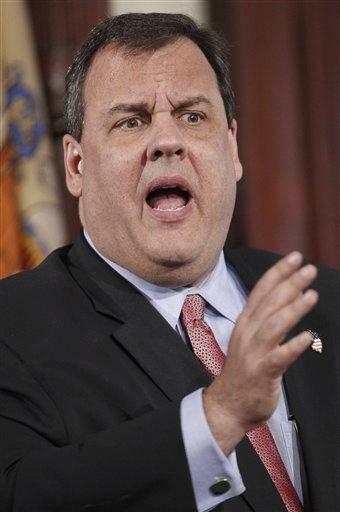 "They told me I made up the cost overruns," Christie said. "As the plans become more clear, if they want New Jersey to become a partner with New York, with the federal government, I'll consider a fair deal for New Jersey." At the time, it was the most expensive public works project in the country. The tunnel was intended to double the capacity for trains traveling between New York City and New Jersey, routes that are now close to capacity and frequently delayed. The new tunnel plan, which Christie was not involved with, would follow the same basic 9-mile path from Secaucus to New York that had been proposed for the other tunnel and would open in 2020, two years later than the scrapped ARC tunnel. There are significant differences in the projects. Unlike the ARC project, Amtrak would also have use of the tunnels, so it would not increase capacity as much for NJ Transit riders but would allow for high-speed trains to run in it. The ARC tunnel would have ended north of New York's Penn Station, which serves Amtrak in addition to Long Island Rail Road and NJ Transit commuter trains. The proposed one would connect directly to new tracks at Penn Station rather than end far beneath the Macy's store at West 34th Street. There is not funding in place yet for the new proposal, although Amtrak has committed to spending $50 million on a preliminary engineering and design study. The project could be a cheaper choice for New Jersey in the long run because of partnerships with Amtrak and other states.